2nd December, 2018, New Delhi: Indigo’s customer service communicating over Social Media that all seat assignments were chargeable resulted in a huge outcry from the traveller community, terming the move unfair. This would mean that is a family of four who do not pay and select seats through a web check-in, might end up sitting in different places in the airplane, and not together during their travel. Seats would however be allotted to all passengers as per the availability at the check-in counter. 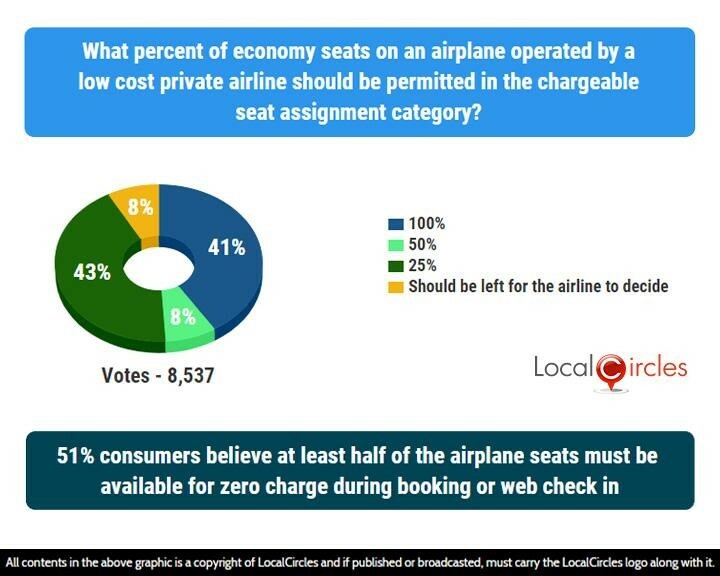 To analyse the situation better, LocalCircles decided to ask citizens for their opinion on the issue of seat assignments on airlines. The survey got more than 23,000 responses. 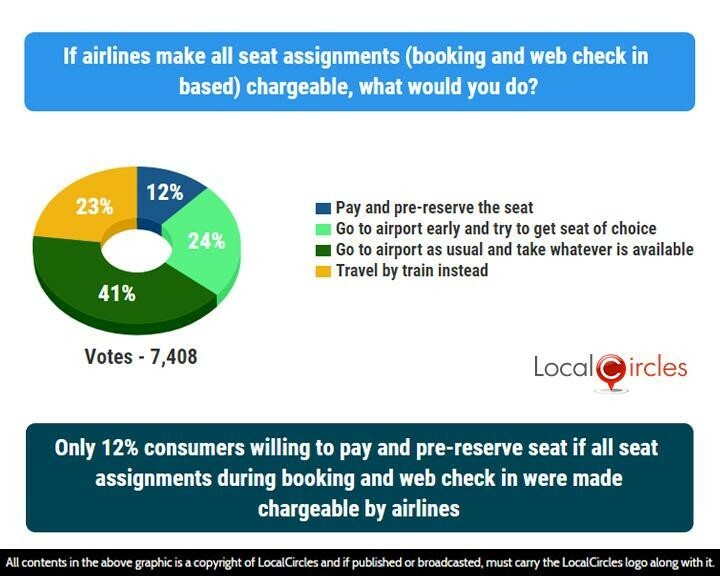 In the first poll, citizens were asked if airlines were to make all seat assignments (booking and web check-in based) chargeable, what would they do. Only 12% said they will pay and reserve while 24% said they will go to the airport early and try to seat seats of their choice. 41% said they would go to the airport as usual and take whatever is available. When asked what percentage of economy seats on an airplane operated by a low-cost private airline should be permitted in the chargeable seat assignment category. 43% said 25%, 8% said 50%, 41% said 100% while 8% said it should be left for the airline to decide. Many of us may have experienced, observed or heard VIPs get excellent seats when they travel by all economy flights. In most cases, if a celebrity, politician or bureaucrat is travelling there is a very high chance of they being in the first few rows. The third question asked how people think VIPs get preferred seats on domestic airlines. 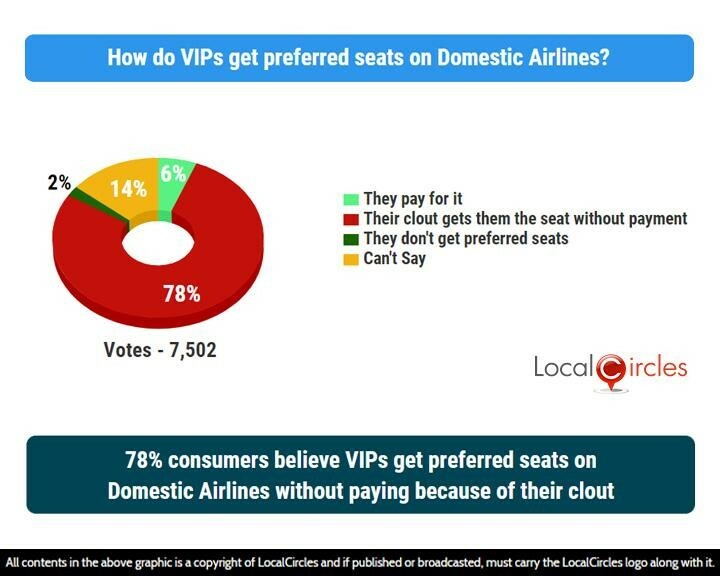 78% here, said that their clout gets them the seat without payment and only 6% said they pay for it. 2% said they don’t get preferred seats and 14% were unsure how it works. This is not the first time that an Indian airline has made a move which has left prospective passengers in a tizzy. Excess baggage charges and ticket cancellation charges also made headline a few months back. In polls conducted earlier, most citizens wanted the airline ticket cancellation charges to be 20% of the airfare, and 75% citizens wanted excess baggage charges in airlines to be Rs. 150 per kg or lower. Traveling by an airplane still remains a dream for an average Indian. Adding these extra costs will only delay their dream in coming true. 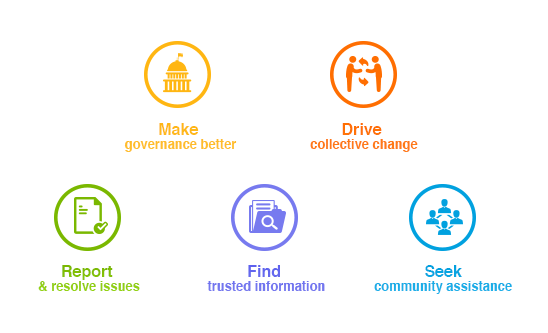 Citizens believe that the Government should intervene in this matter. LocalCircles will be submitting the findings of this survey to the Ministry of Civil Aviation and other related stakeholders so that appropriate action could be taken.